Children in Boston, MA need eye exams just as much as adults do. In some ways, they need regular vision screening more than adults do. School performance, sports ability and more can suffer when a child has undiagnosed vision impairment. Most children only need routine vision screening but some will require additional treatment for any issues that may be discovered. 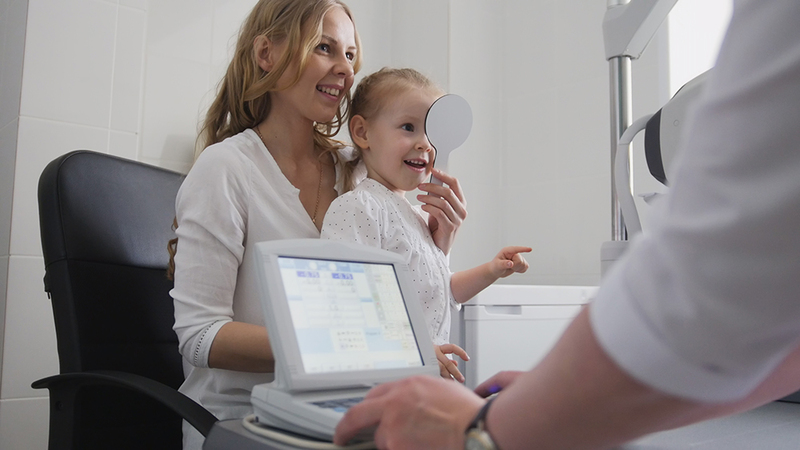 At Vision Care 2000, we serve the Boston area residents and their children with comprehensive eye exams. Treatment for these conditions depends on the severity and the cause of the problem. Glasses are the most common treatment for refractive errors. Children with amblyopia, also known as lazy eye, might be required to wear an eye patch over their better eye so that the weak eye has to work harder. Special types of glasses, and in rare cases, surgery, are used to treat strabismus. Vision therapy is sometimes prescribed for children with accommodative errors who have trouble focusing or following an object in motion. If your child has any of these symptoms, especially if they are new, you should bring him or her to an optometrist in Boston. Prompt treatment for vision problems can help avoid falling behind in school or losing enjoyment in a previously-favored activity. What our optometrist in Boston will do for your child depends on their age. At all ages, children will have their eyes visually examined for any structural problems or symptoms of physical issues. The ability to focus may be tested in babies using a visually-attractive moving object. Preschool-age children can often perform a visual acuity test if the items on the test are familiar symbols rather than letters. Once a child hits school-age, his or her vision exam will be performed in a manner very similar to an adult exam. However, our optometrist in Boston knows that children may require additional patience and explanations of the process as it moves forward. Your child can suffer in a number of ways if their vision is not as good as it could be. However, our optometrist in Boston, MA, here at Vision Care 2000, can help you prevent that from happening. To make an appointment, call us today at (617) 487-4640.